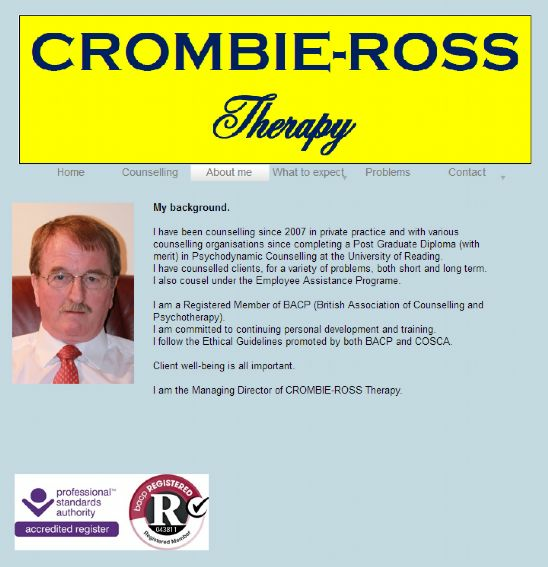 Keith Anderson is a counsellor based in Couper Angus. He offers and opportunity to talk about your problems in a safe, containing environment and help you find ways of coping with life's difficulties. Counselling since 2007, Keith is a Registered Member of BACP (British Association of Counselling and Psychotherapy). For more details of what to expect, the sort of problems he can help with, and charges information, please visit his website.